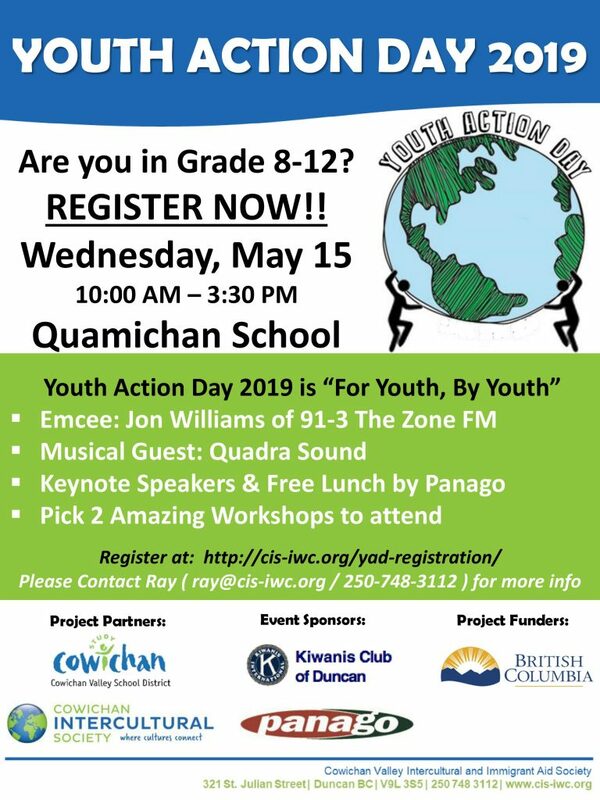 The Youth Action Day Student Planning Team just launched their pre-registration at our fundraiser on the weekend and have now opened up registration to SD 79 secondary schools and through our partners. 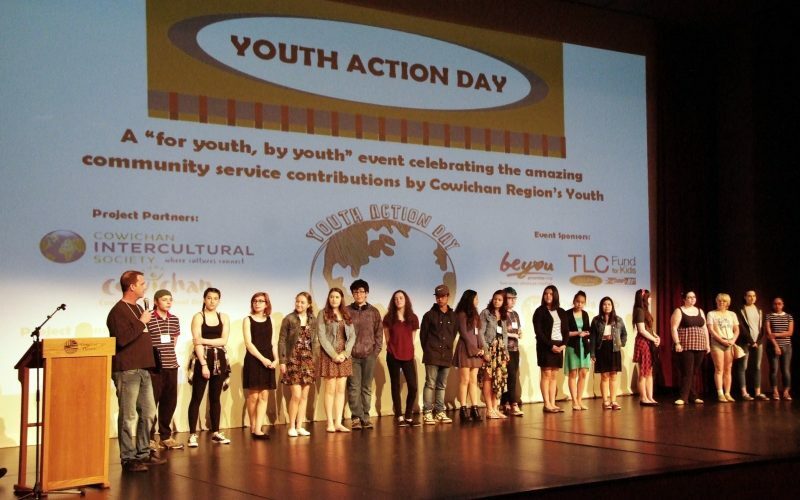 This annual event, begun by a team of Compassionate Leader Program (CLP) students, celebrates Cowichan Region’s youth who are engaged in community service as well as in motivating and inspiring other youth to get involved. Four CLP participants decided to take Youth Action Day 2017 on as their team project. 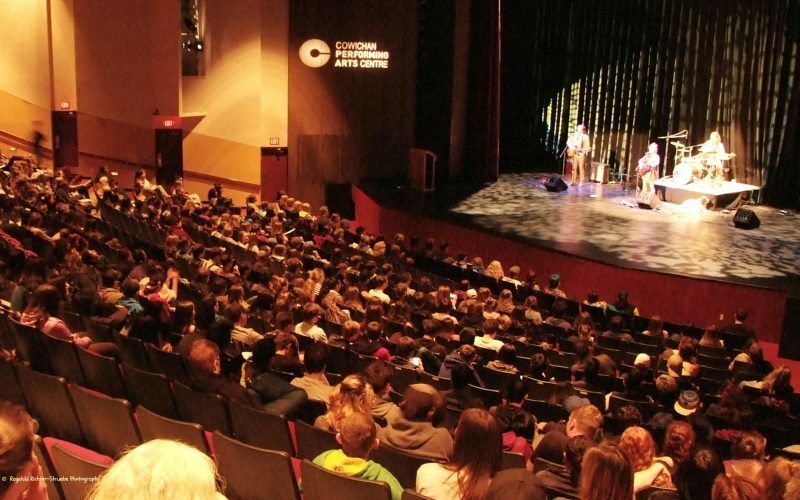 The team worked very hard over four months on planning, fundraising and organizing the event. They helped to recruit youth and young adult speakers on topics that mattered most to them (LBGQT+, Substance Abuse, Mental Health and Volunteerism). 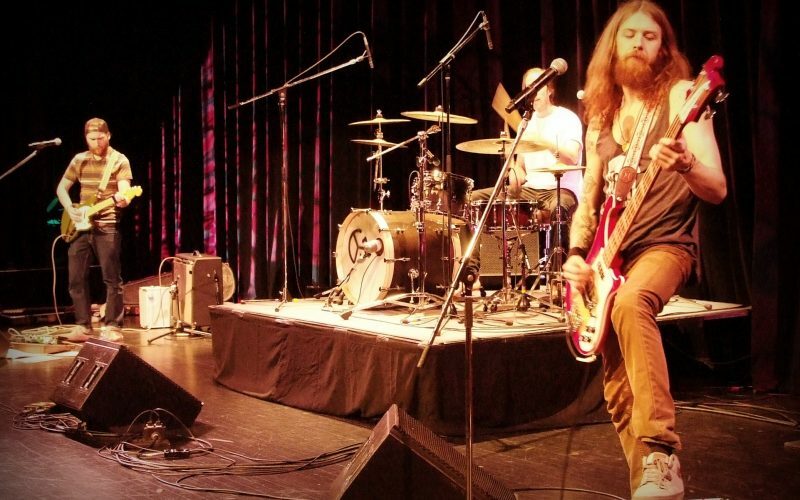 In addition to the speakers, the event was again emceed by Jon Williams (DJ from 91.3 The Zone FM) and featured musical guests Carmanah and the Deep Sea Gypsies. We were very fortunate to receive project funding from Coast Capital, BC Gaming and in-kind support (e.g. bus transportation, classrooms, etc.). 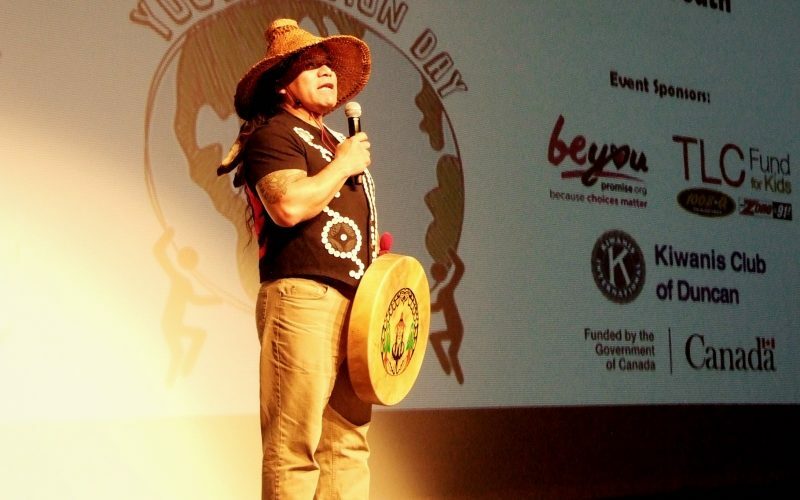 Additional funding specific to Youth Action Day 2017 came from Heritage Canada, Be You Promise, the TLC Foundation, Kiwanis Club of Duncan and through contributions from Island Return-It Charity of the Month (supported by CVRD).